The ability of verbal reasoning and quick brainstorming is crucial to all parts of the speaking tests since you might encounter topics that you hardly heard of or have never talked about before, and must provide answer within seconds of preparation. Well developed reasoning skill and flexibility in answering will help you go through this trickiest skill test safe and sound! How long does it take me to find solutions for a given topic? What is my habit of thinking? Do I think systematically or just jump at whatever appears to my head first? Is it difficult for me to put information in order or structure? For the first question, if your answer is a, then you got a huge room for improvement. Start by tackling the simplest topic in life. Ex: what subject do you like studying at school; what movie you think is the best of this century; .etc. When you start thinking about the topic, practice the habit of thinking in structure. You may fill in the question What, When, Who, Why and How, for instance. Then, put all the information in order of logical thinking, from the general to the specific ones, or from the past to the future. One trick is to “forget everything you have learnt”. Your present thinking habit may be not efficient that it takes you so long to come up with ideas. Pick one new effective thinking style and make it your new habit. If your answer is b, then you are now in need of more challenging and uncommon topics. Practice the habit of asking questions whenever you read news or encounter an event in daily life. For ex: Why were there so many people supported Donald Trump while at first the media seemed to go against him? What are the drawbacks that your country’s education has spent time on improving but still sees no progress?… The trick is to collect information while you read or listen to surrounding events. Extend your knowledge on a wide range of topic and WOW the examiners! If you answer c, congrats! You can move to the next one now. Question 2 and 3 mostly concern your logical thinking. The way and order you put your ideas into a complete paragraph is crucial for the understanding of the audience. General flow of thinking is define the topic, describe the topic and conclude the topic. If you put your concluding ideas to the top, audience may understand but it will be a bit difficult. If you put your description to the top, it is even a more serious problem since audience has no idea what they are listening to! So, try to put all of your ideas in a usual order that ordinary people use to process information. Taking notes is familiar to all students at schools but the truth is not all students are taking notes in the right way. Of course there are no fixed method for anyone but some are better than others. Summarizing is a technique of note taking. 1) How often do I take note? Is it my habit or am I just forced to do that? 2) Do I find it hard to keep up with what the lecturer say and then jot down on my note? 3) Is it easy for me to recall all the knowledge by revising my notes? 4) Can I often see the core problem of a topic or the big picture of an event? Can I give general ideas of a 10-page lecture in several sentences? Summarizing is an essential technique. If you answer No to question number 4, then you are lacking the ability to understand the main ideas. The price of this is loosing points for omitting important information and focusing on less important details. The trick here is to think about the core information of the subject in the lecture and pay attention to the amount of time the speaker allocates for each idea. For ex: the main ideas of a problem may include its causes, a description of its progress, its impacts and solutions. If the speaker spends time explaining the causes and progress, then this might be a lecture about discussing a problems without specific solutions suggested. If he spends time on describing the solutions, then this lecture is about how to solve the problem. To practice, you should develop a habit of writing reports of what you have read or listen. For instance, you listen to a political issue in the US on the breaking news.Then you should take a few minutes to note down what is the headline of the news, where and when the event occurs, who are involved, how it is progressing… Watch the video below to visualize what you should do. Try use just several words or sentences to wrap up all the information. Now, your task is to practice until you say YES to the 4th question. Your teachers might have told you over and over about plagiarism and “use your own words” You may be excellent at listening and summarizing the lecture but if you do not know how to communicate the information with your own words, your notes will have little use. Paraphrasing requires a flexible use of vocabulary and grammar from what you can easily express the ideas in many different ways. The point is to keep the original idea but show it in away that audience feel it fresh and interesting. Below is an example. Original sentence: Her life spanned years of incredible change for women. Paraphrase: She lived through an era of liberating reform for women. Original sentence: Giraffes like eating leaves and hay and they can consume 75 pounds of food a day. Paraphrase: A giraffe can eat up to 75 pounds of leaves and hay everyday. Sentence transformation is an excellent exercise to practice paraphrasing. Try the exercise below and see how it works for paraphrasing. None of the phones were left when we got to the shop. …By the time we got to…..the shop, all the phones had been sold. I didn’t know it was Carl until he took off his hat. Only………………………… his hat did I recognize Carl. The school’s management are investigating allegations of teacher brutality. 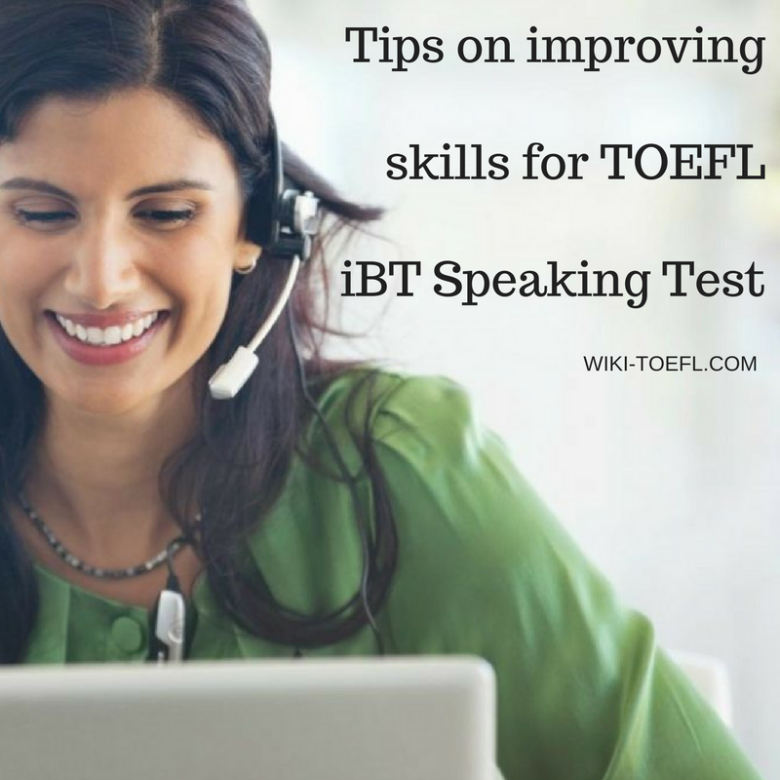 Hope you have a good sense of what do you need to prepare to “K.O” the TOEFL IBT Listening test now! Do you agree or disagree: “Playing games teaches us about life” ? Should high schools allow students to choose the courses they want to study?